Bags that raise awareness of the destruction humans are doing to the very planet that allows us life. Made in Australia by us. 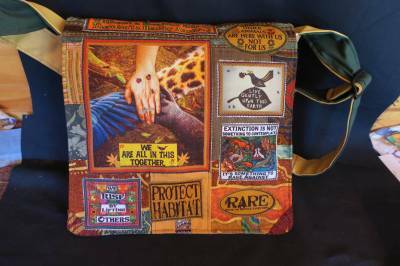 Hands Paws Together bag-handmade from recycled materials.